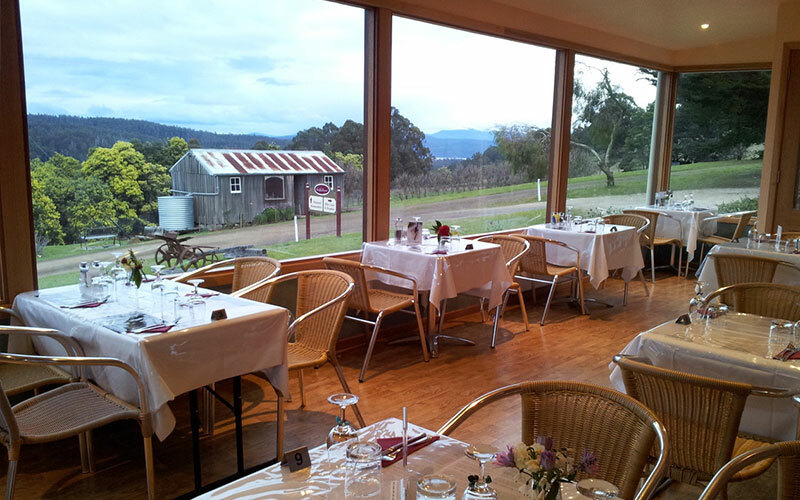 Hartzview Vineyard is located in the picturesque Huon Valley at Gardners Bay – a leisurely 45min drive south of Hobart. Our cellar door is open from 10am – 5pm where visitors can taste from our range of wines including the fortified fruit ports, liqueurs and spiced apple liqueur mead. A light lunch menu is available in our vineyard café. 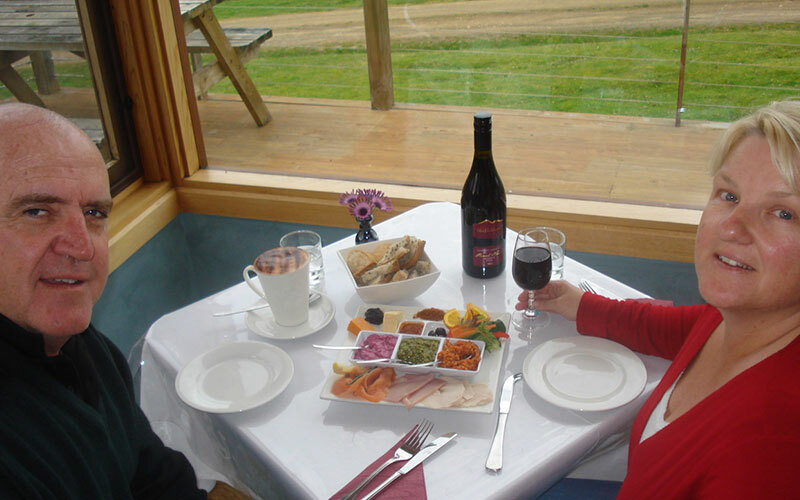 Favourite menu options include vineyard and cheese platters, coffee and desserts. Hartzview, as the name implies, has spectacular views of the Hartz mountain ranges, valley and surrounding hills. Visitors to the property enjoy majestic views all year round with the beauty of the seasons regularly on display from the beautiful autumn colours, to the snow falling on the vines, bud-burst at springtime and the warmer long sunny summer days.